Disagree Better With An Effective Arbitration Agreement | TMC | Toki Mabogunje & Co. If you’ve never heard of Alternative Dispute Resolution (ADR) before, please read our previous article. 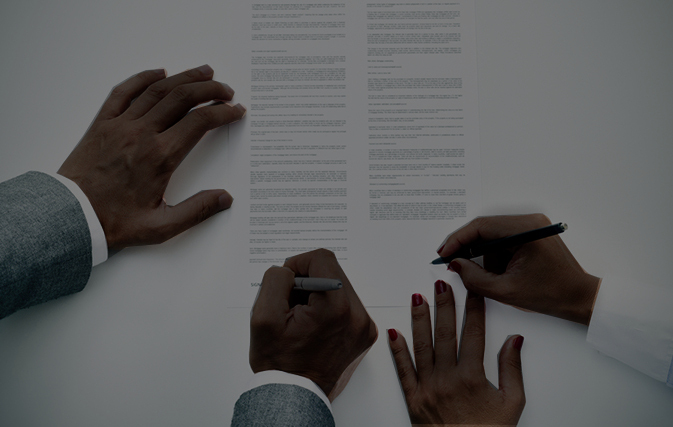 In this article, we will be focusing on the Arbitration agreement, and how to make sure yours is effective. 1. Avoid End Date Limitations. If a period is set, such as six months for an arbitration to conclude, the authority of the arbitral tribunal ceases at the end of that period – whether or not the arbitral award is ready. As such, it will no longer be able to serve its intended purpose because no tribunal can act outside authority, unless the parties consent to an extension. 2. Use a Permanent Appointing Authority. If you choose to use an appointing authority to administer your arbitration, and it ceases to exist by the time your disputes arise, then your arbitration agreement becomes inoperable. To avoid this, choose a permanent authority/institution. If the existence or validity of the underlying contract of your dispute is challenged by your opposition, the arbitral tribunal must be able to adjudicate on it to proceed. So ensure that the wording of your arbitration agreement gives them this authority. A party may argue that the arbitration agreement restricted the arbitral tribunal to dealing with DISPUTES. Therefore, the tribunal cannot handle CLAIMS. For good measure, please ensure both disputes and claims are stated in the arbitration agreement as matters for the tribunal to address. It is nonetheless possible that there is a disagreement for which no financial claims are made. Time will be saved and decision making will be easier during arbitral proceedings if you choose and state the laws that will govern the substance of dispute and procedure of arbitration in your arbitration agreement. The Lagos State Arbitration Law (2009), and the Lagos Court of Arbitration Law (2009) are good modern laws that meet international standards. Factor in cost of attendance and administration of proceedings when making your choice of location for your arbitration. You want to minimize these and reduce the overhead incurred. However, keep in mind that in choosing the place of arbitration, you also chose the mandatory laws that will govern your proceedings. Mandatory laws of the place of arbitration must always be respected. All that is required of an arbitrator is independence and impartiality with respect to the parties and subjects concerned. However, to be sure of an enforceable award, please choose a trained arbitrator to preside over your disputes. 2nd Roundabout, Lekki Phase 1 (atlantic side), Lekki-Epe Expressway, Lagos. More information may be found online or requested of the author.